Old traditions die hard in Italy. On Christmas Eve, families across the country celebrate the Feast of the Seven Fishes, abstaining from all meat and covering the table in a bounty of fish and seafood. For most of us, Christmas Day is a twenty-four hour stretch of gluttony and reckless abandon – a day to enjoy food, without worrying about the waistline or judgement from the bathroom scales. With that in mind, it makes sense to prepare yourself for the trials ahead with a light meal on Christmas Eve. That isn't technically the reason why many Italian families eat fish on Christmas Eve, though. The Feast of the Seven Fishes actually harks back to Roman Catholic traditions of abstinence during certain times of the year – Christmas Eve is one of the most important of those, with the day leading up to midnight mass and the celebration of the birth of Christ. 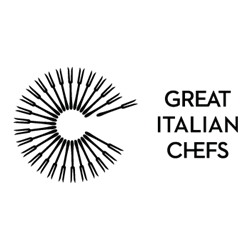 Italy is still a predominantly Roman Catholic country, and families all over the country recognise the importance of Christmas with a veritable feast of fish and seafood. Whether you want to celebrate Christmas in the same way or you’re just looking for some lighter meal ideas to preserve your stomach for the big day, Valeria Necchio's incredible Christmas Eve menu is packed full of inspiration. Take a look! Valeria's opening gambit is elegant and stylish, but very achievable. The baked scallops are a beautiful balance of sweet seafood, slight tartness from the orange and earthy almond. 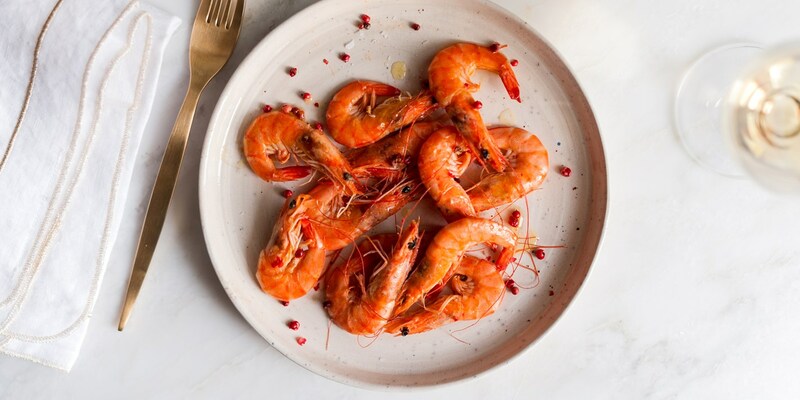 The prawns are perfectly complemented by the warmth of the ginger and pink pepper, Both of these dishes are easy to put together, as the scallops and prawns can be on the table in a matter of minutes once you've prepped everything. There are very different avenues you can take with your starters, particularly in Italy where good seafood is abundant. Valeria keeps her pasta-based primi light and vibrant, riffing on a classic with her seafood lasagna. She layers pasta sheets with a simple seafood ragù, before topping with béchamel and baking for that perfect golden crust. The linguine takes a more traditional Italian tack, but it's no less delicious. Saline squid ink, sharp lemon and pasta is a classic combination. For main course, a big piece of fish is perfect – and Valeria opts for trout and cod. Both are poached from cold to achieve that perfect flaky, melt in the mouth texture, but the end results are very different – the chickpeas and rosemary give the cod a quintessential Italian vibe, whilst the trout with mustard and yoghurt sauce is a little more classical. Panettone trifle is another smart reinvention of an Italian Christmas classic. Valeria takes slices of panettone and makes it even more indulgent with layers of silky ricotta and muscat cream, with a sprinkle of almonds to finish. Or why not give her festive clementine and marzipan biscuits a go? They're simple to make – just create a dough from ground almonds, sugar and water, add in your egg white and clementine zest and shape your biscuits before baking. A perfect way to prepare yourself for Christmas Day festivities.